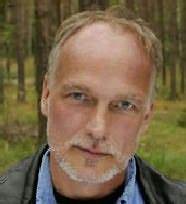 Karl Stig Kjell Eriksson is a Swedish crime-writer, author of the novels The Princess of Burundi and The Cruel Stars of the Night, the former of which was awarded the Swedish Crime Writers' Academy Best Swedish Crime Novel Award in 2002. They have both recently been translated into English by Ebba Segerberg. Who would you like to see for our July author of the month? Is this you? Let us know. If not, help out and invite Kjell to Goodreads.